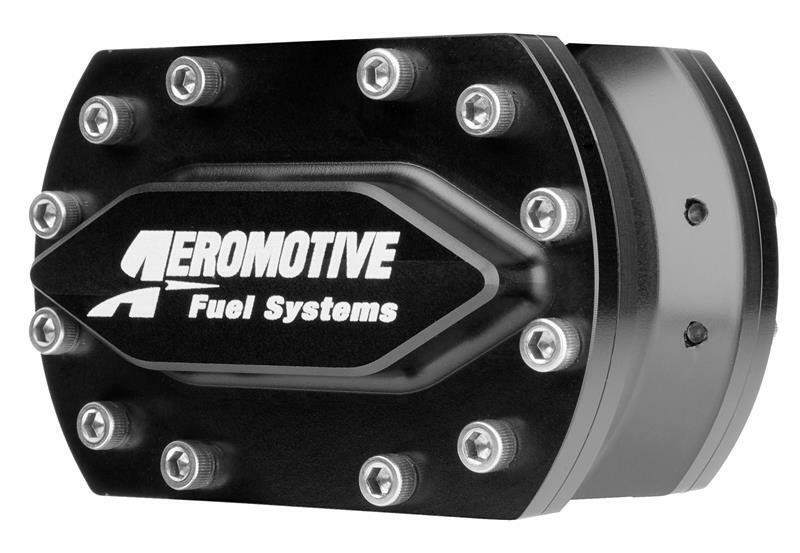 Aeromotive Fuel Pump - Spur Gear UNIVERSAL - Lesher Motorsports, Inc.
Aeromotive is thrilled to release the latest and largest gear pump in the Aeromotive family: The Spur Gear Pump. This pump features contoured, coated thrust plates, gear sets, and body to reduce cavitation and increase longevity. From John Hale’s Nostalgia Funny Car to countless Pro Mod cars, this new Spur Gear pump has undergone extreme testing. Our relationships within the classes, and the serious research and development that happen both on and off the track, ensure the upmost performance and reliability under the harshest environments. 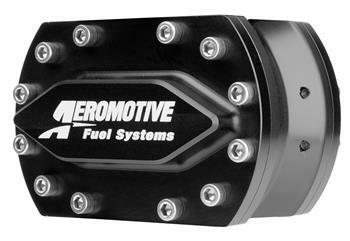 Built to the strictest of standards, these pumps are sure to live up to everything you expect from Aeromotive products. The Spur Gear pump is available in a complete range of flow ratings and NHRA Certifiable options. The Spur Gear series offers in an assortment of inlet and outlet attachments, as well as three different sized distribution blocks to ensure proper plumbing and configuration. It can be mounted with either a three or four bolt flange or a V-band adapter. The Nostalgia Nitro Funny Car pump (11936) and the Nostalgia Top Fuel pump (11937) are legal for use NHRA Hot Rod Heritage and IHRA Nitro Jam Series.